We are investigating the effects that certain gut hormones (hormones that are produced in the stomach and intestine) have on the brain. Previous studies have shown that these gut hormones not only control our appetite and food intake, but may also alter the craving for alcohol and drugs. We are recruiting volunteers for our study using brain scanning to investigate the effects of such gut hormones on eating and addictive behaviours. We are interested in how these hormones may help people who are overweight, or have recently given up alcohol or cigarettes. This could give us important information about how the hormones affect relapse to alcohol and cigarettes, and have the additional benefits of preventing weight gain. We will investigate the effects of these hormones through their infusion via a cannula in your arm while you undergo an MRI scan and do some simple computer tasks. You will also complete some questionnaires and have blood taken. These hormones have been used in many medical research studies before and are safe. 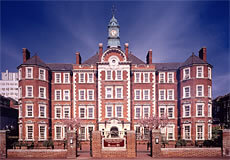 The GHADD study is funded by the UK Medical Research Council and will take place at the Hammersmith Hospital, at Imperial College London. The GHADD study has been ethically approved by the London-Central Research Ethics Committee: 15/LO/1041. You will receive payment for your time and travel expenses if you take part in the GHADD study. overweight or obese, and recently started a weight management programme, and do not have a history of alcohol, tobacco or substance dependence. Note even if you have not yet stopped smoking or drinking, or have not yet entered a weight management programme, but are planning to do so in the near future, you can still contact us now to discuss the study. The screening or study visits can then be arranged later at the appropriate time depending on your progress. In order to see if you may be eligible to take part in the study we wish to ask a few questions on the following pages. Thank you for taking the time to complete them. Please note that this information is entirely confidential and will not be linked to anything that can identify you. New questions will appear automatically. If they ever seem to stop please click on the NEXT button at the bottom of the page. If you do not go to the end of the questions you and we will not know if you may be eligible.